In today's world, we are exposed to a myriad of persistent chemicals and potentially hazardous elements even while being at home. Through water contaminated with fluoride, breathing air polluted with smog and, if you haven't switched to organic food, more natural cleaning agents and paint yet, even more chemical leaching from your walls and carpets. The link between persistent organic pollutants and diabetes becomes extremely important when you consider that large amounts of these POPs are still “floating” around even though their usage has been regulated a while ago. This article explores the link between the two and if there is any reason for concern, especially for new mothers and their children. A recent study measured levels of various contaminants in the placentas and breastmilk of Danish and Finnish women. The major chemicals found included p,p’-DDE, beta-HCH, hexachlorobenzene (HCB), endosulfan-I, dieldrin, oxychlordane, cis-heptachlor epoxide and p,p’-DDT. What the heck are these things? Most are pesticides or industrial chemicals, and they can pass through the placenta to the fetus, or enter babies through breastmilk. Due to the higher fat content of milk, contaminant levels are higher in milk than the placenta, but, exposure to the developing fetus is likely to be more critical to physical development. Although the levels of many of these contaminants have declined since most developed countries restricted their use decades ago, they are persistent and remain in the environment, and our bodies, for long periods of time (Shen et al. 2007). These persistent organic pollutants (POPs) include some of the most well known, and most toxic, environmental contaminants, such as PCBs and dioxin. They accumulate in the fatty tissue of animals and humans, and biomagnify in the food chain, so that the higher up an animal is on the food chain, the higher the contaminant levels are (Tanabe 2002). Here's a pop quiz: who is on the top of the food chain? Did you answer a top predator? Humans? Yes, and yes. But really, a nursing infant is even higher on the food chain than its mother. There are several hundred persistent organic pollutants, and most humans are exposed to mixtures of them (Lee et al. 2007b). The U.S. Centers for Disease Control and Prevention periodically tests a representative sample of U.S. residents of persistent organic pollutants, and has found widespread contamination (Patterson et al. 2009). 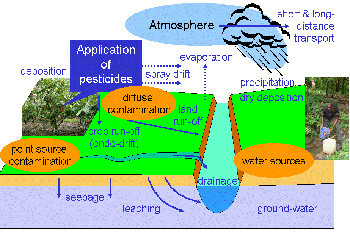 Persistent organic pollutants are fat-soluble, and tend to move through the environment together. Therefore, it may be difficult to delineate the separate effects they may have on health (Codru et al. 2007). 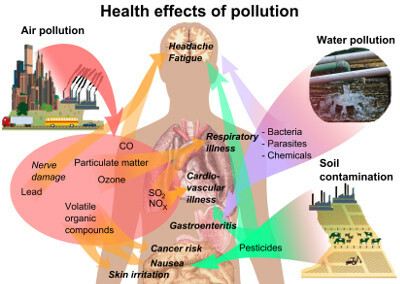 Since persistent organic pollutants contaminate virtually all people, even if they increase the risk a small amount, these chemicals might have a large effect on the overall population (Porta 2006). In 2005, Dr. Duk-Hee Lee had never even heard of persistent organic pollutants. But she figured out that they could explain the increased risk of type 2 diabetes in the people she was studying. She has gone on to publish numerous studies on these persistent chemicals and type 2 strain, and is interested in their potential role in type 1 as well. A groundbreaking 2006 study found “striking” relationships between six persistent organic pollutants and diabetes in U.S. adults exposed to normal levels of POPs. The higher the levels of these persistent organic pollutants, the higher the prevalence of diabetes. In the highest exposure group, the risk of diabetes was 37.7 times higher than in the people with the lowest levels of exposure. That is a lot— far higher than any other study I have ever seen. The POPs included the dioxins HpCDD and OCDD, DDE, PCB-153, oxychlordane, and trans-nonachlor, with the latter three showing the most significant relationships. (Oxychlordane and trans-nonachlor result from the use of the organochlorine pesticide chlordane). The dataset used in this study, the National Health and Nutrition Examination Survey (NHANES) 1999–2002, includes both types 1 and 2, and does not distinguish between them. The authors believe that most of the subjects had type 2, however, because most of the subjects were over 40. Yet they also point out that, “Persistent organic pollutants may be involved in the pathogenesis [development] of type 1 as well as type 2” (Lee et al. 2006). In a further expansion of this study, the authors used the same dataset but analyzed 19 POPs, divided into five groups, to see which were most strongly associated with diabetes. They found that individually, most POPs were associated with diabetic occurrences, and PCBs and organochlorine pesticides were most strongly associated. Among the groups, only the dioxin-like PCBs and organochlorine pesticides were associated with the illness (Lee et al. 2007c). Since this 2006 study was published, there has been a flurry of research on persistent organic pollutants and type 2 diabetes, as well as related conditions, such as insulin resistance, metabolic syndrome, diabetes complications, obesity, and more. There is strong evidence that exposure to persistent organic pollutants, at levels commonly found in developed countries, can increase the risk of developing type 2 diabetes. 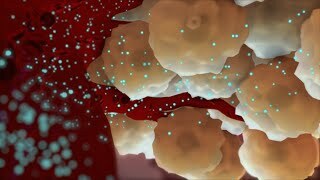 The ability of some of these chemical compounds to also enhance autoimmunity implies that they could potentially contribute to the development of type 1 diabetes as well. This possibility should be studied further.